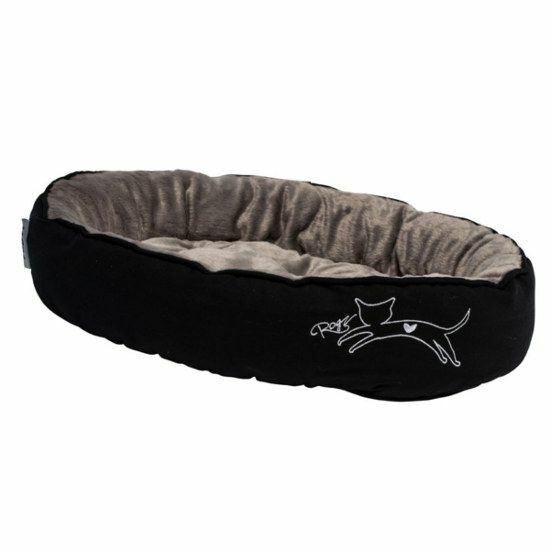 A soft and comfortable black cat bed with a nice print on the front, in two sizes. A fun, funky and comfy cat bed that is executed in black. The bed has a nice decoration on the front: a jumping cat. The filling is a fiberfill. You can clean the cat basket in the washing machine at 30 degrees.